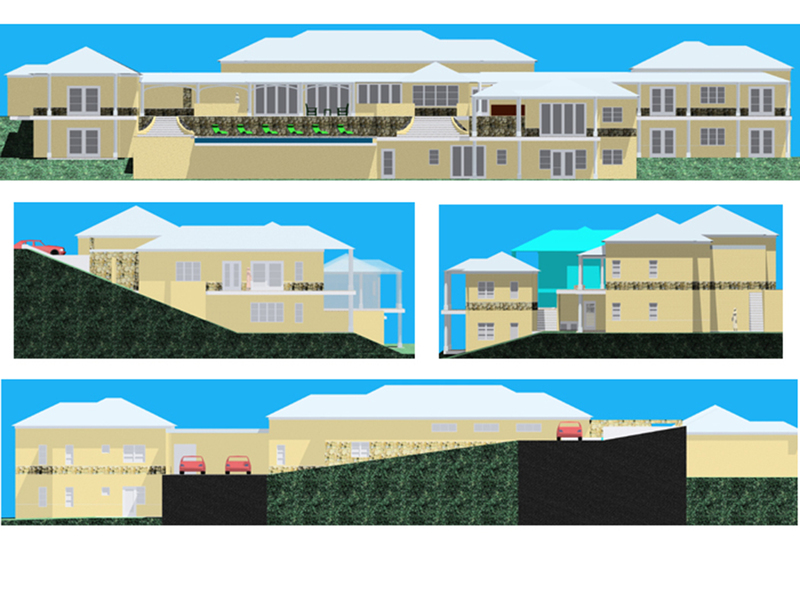 This 11,000 s.f., multi-level residence will sit on a steeply sloping site within the ecologically sensitive Botany Bay Preserve on the west end of St. Thomas. The site features very dramatic 270 degree ocean views. The needs of a young, large family were captured within the design program, which beyond the normal elements, also included a game room, exercise room, office area, and multiple level decks. 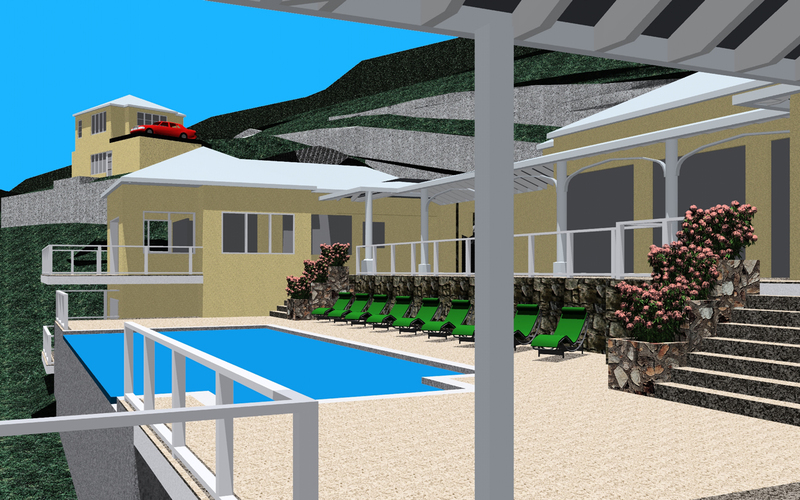 The entire layout is organized around a large main deck and ocean-facing pool with infinity edge. The design for the property also includes a stand-alone Property Manager’s 2-story bungalow. The steep terrain and indigenous rock formations on the site made the site planning and structural design of this project a major challenge. 3-D visualization software was critical in helping the client more easily and successfully visualize the complexities and resulting solutions within the site and the design.